which electrolytes should you be monitoring closely post-op? K+, Ca++ and Mg++ !!!! if the horse has a FEVER post-op, what other complications might you want to consider? 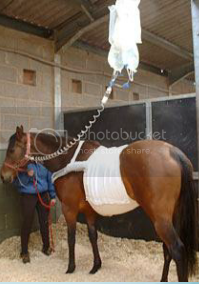 (6) Peritonitis, Colitis, Incisional infection, Catheter site infection, Post-op pneumonia, Laminitis!!!! how can you manage the discomfort of a horse with post-op gastric ulcers? can use Alpha-2 agonists (like xylazine) -- Avoid NSAIDs!!!! limit for potassium being given? DO NOT EXCEED 0.5mEq/kg/hr!!! 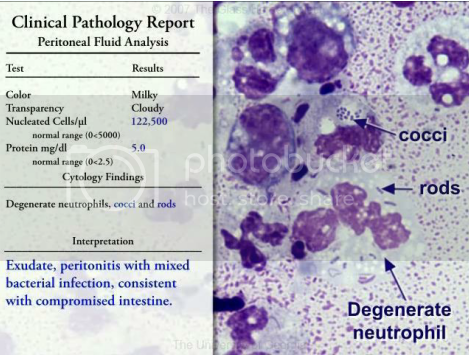 consider AGE when looking at questions pedunculated lipoma= old. ascarids= young.